Clicking the "Shrink" button will shrink the interval representing the domain. 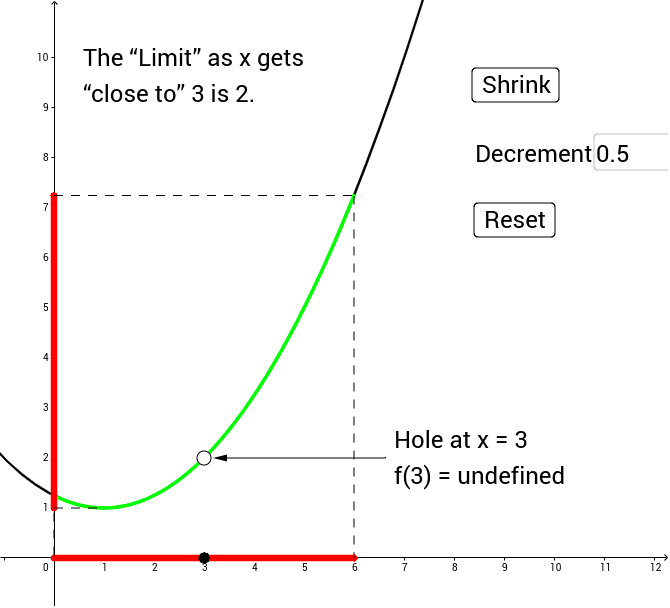 Changing the "Decrement" will change how you are shrinking the interval. For instance, a decrement of 0.5 will shrink the interval by 0.5 units on either side of x = 3. Hitting "Reset" will change the domain back to the original interval and set the decrement back to 0.5.